Home Auto Who should buy a third party car insurance plan? Who should buy a third party car insurance plan? Who should buy a third party car insurance plan? : If you ask who needs a third-party car insurance plan, the answer is – every car owner! There are a few reasons behind this. First and foremost, a third-party cover is a legal requirement in India. So, if you own a vehicle, you need a third-party cover for it. Then, such a cover is inexpensive and widely available. You can very simply buy third party car insurance online quickly. This is another reason why you should get it. Take a look at this article to know more. You can get a third-party cover for all types of vehicles. However, if you have a new and expensive car, then opting for a comprehensive cover may be a better idea. 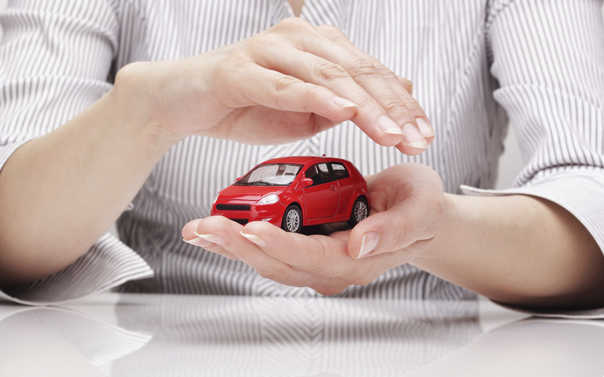 A third-party cover doesn’t have any provisions for damages to yourself or your vehicle. When you buy car insurance online, you should therefore try to get a more inclusive, comprehensive plan which offers the third-party benefits along with protection for your own vehicle. But if you want a basic, affordable cover, a third-party cover works. Mandated by the law: Like mentioned above, the Indian law makes it compulsory for every car owner to have a third-party cover. So, when you get third party car insurance online, you take care of this very important requirement. So, with a third-party insurance plan, you comply with the law of the land. Covers all third-party expenses: As obvious by its name, such a plan covers the third-party expenses. If you get involved in a car accident that causes harm to a third party or their property, you would be liable to pay the damages. This can be very taxing. But when you have a third-party car insurance plan, you get to make a claim for these costs and the insurer takes care of the issue. Covers your legal expenses: If a third party takes you to court over a dispute stemming out of the road accident, your insurer will help you pay the legal costs. This is a massive advantage. As we all know, legal expenses are very high and you will benefit from the financial help you get from your car insurance cover. Protects your finances: All the above points show us how a third-party car insurance protects your finances. In the absence of such a cover, you will end up paying all the damages from your own pockets. This can seriously drain your savings and drill a deep hole in your pocket. So, buy car insurance online and keep your hard-earned money safe. Thankfully, you get these plans at very low rates and they offer tremendous value. Offers a personal accident cover: There’s a Rs.15 lakh disability/death cover in the form of a Personal Accident clause in a Third-party policy. For example, if you die in a road accident, your family will get a death benefit from your insurance provider. This is another very handy benefit of a third-party car insurance cover. Accidents don’t happen with notice and you never know what shock awaits at the next turn. You can’t perhaps prevent a mishap, but you surely can financially protect your family against such an eventuality. If anything happens to you, they will have financial assistance to carry on with their lives. As you can clearly see from the points mentioned above, a third-party car insurance cover is immensely helpful. Make sure to renew your policy in time to keep it active and stay insured. Next articleWhen is the Best Time to renew Two-Wheeler Insurance?